Lock in a great price for Majorelle Hostel – rated 8.7 by recent guests! Very quiet, perfect to meet a lot of people, clean, very delicious food and tagine, super friendly staff - Abdou and Salim are the best ❤️Good location, right next to the big square and the souks. The other people staying in the hostel were friendly. Perfect location, friendly staff, clean facilities and a great place to meet other solo travellers. Taxi shuttle booked via the hostel was even there after a 5 hour delay. 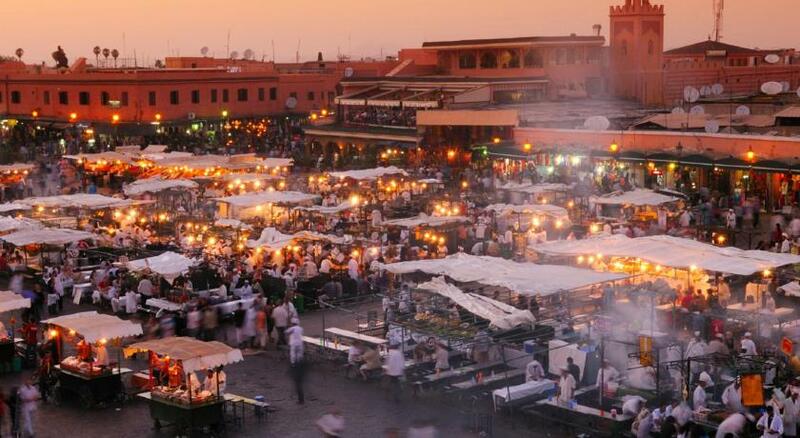 The location is very central to the action of the bustling Médina of Marrakech. Your hosts could not be more hospitable your entire stay. Take their recommendations on your excursions and you won’t be disappointed!! I stayed for one night. Staffs are very nice. The bed is comfy. They have a terrace where you can hang out with fellow guests and the view is good from top. Good located, 5 minutes to the main square. Is not difficult to find. Staff is helpfull. Despite having fans they were noisy, so we didnt use it during the night and dorm got really warm. If you are a light sleeper, be aware of that. Good value for money. Nice atmosphere! Such an amazing hostel overall!! Great location, clean rooms and a roof terrace with an amazing view! Special thanks for the staff!! Salim made our stay even better, he was so friendly, helpful and entertaining! He helped us planning the rest of our Morocco trip and how to book the Sahara tour for a very good price at the hostel :) He gave us great advices how to get around in Marrakech, what to visit and he even brought us to a relaxing Hammam! Thank you so much for everything!! Hopefully we will come back soon! The staff is very kind, chill and helpful. The hostal has a nice environment, we felt very comfortable and also its in a great location, just 5 minutes to the main plaza. 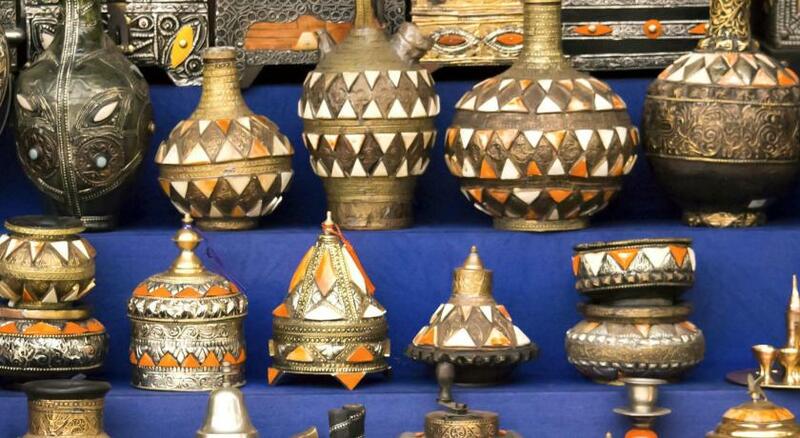 One of our best sellers in Marrakesh! Majorelle Hostel in Marrakesh features a terrace and a shared lounge. An 8-minute walk from Boucharouite Museum, the property is also 0.6 miles away from The Orientalist Museum of Marrakech. Staff on site can arrange airport transportation. Free WiFi is available to all guests, while some rooms also feature a balcony. Guests can grab a bite to eat in the on-site restaurant, which serves African cuisine and also offers halal options. Guests at the inn will be able to enjoy activities in and around Marrakesh, like cycling. Staff speak English and Spanish at the reception. 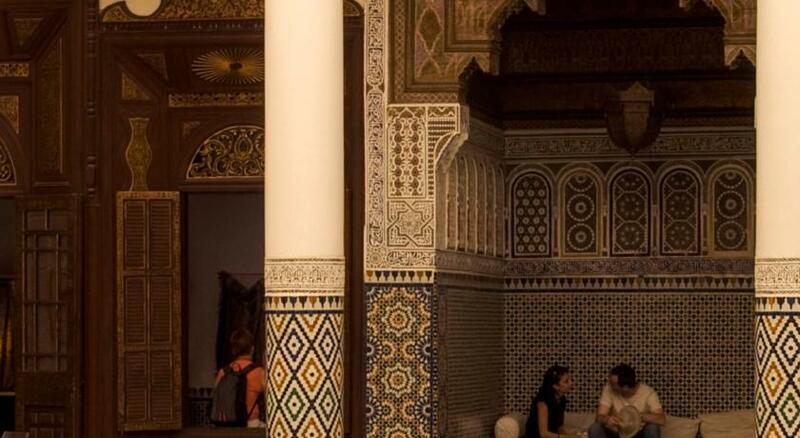 Bahia Palace is a 14-minute walk from Majorelle Hostel, while Le Jardin Secret is 0.9 miles from the property. The nearest airport is Menara Airport, 5 miles from the accommodation. 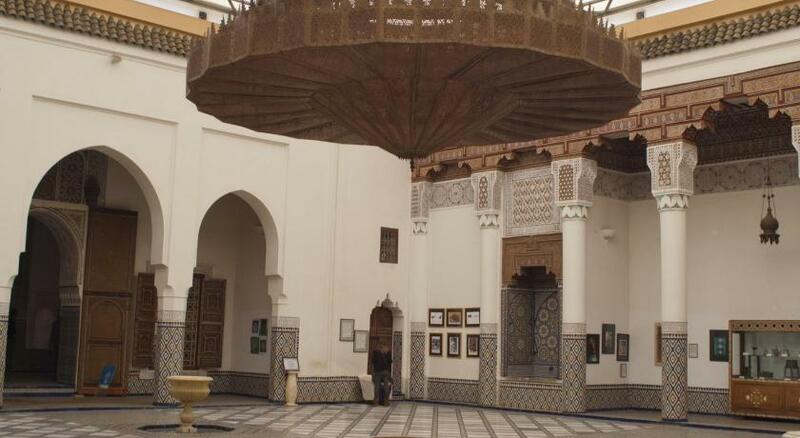 뀐 Located in the real heart of Marrakesh, this property has an excellent location score of 9.3! When would you like to stay at Majorelle Hostel? House Rules Majorelle Hostel takes special requests – add in the next step! The place is run by young men who faun over any European girls who visit. I sensed great insincerity. Maybe it was the weather but I felt like a ghost. I can understand why they were so available : A 12 bed dorm with only 3 people told a story. The other two entered and spent their time praying in the Muslim manner. I felt ostracised. There was no social interaction at all. Our stay at magiorelle was fantastic. Jamal and his staff were super helpful and helped us organizing our days in Marrakech and make the trip perfect. Absolutely recommended. People outside hotel trying to sell drugs! We had a wonderful stay. Very helpful and friendly staff (Jamal and Zakaria), they will assist you about do's and dont's in Marrakech. I made the taxi reservation but taxi didnt come but i found the new one and arrived safely at night!! Probably the best hostel in Marrakech. Facilities were fine, rather clean, especially compared to the city itself. There is a decent kitchen and social area. The staff was awesome, provided local knowledge. Special kudos for Jamal. The whole staff was very helpful and friendly. Location is perfect with a nice roof terrace. we felt more then welcome. We had a great time! The hostel is close to a megaphone for prayers, so in the morning (~6:15am), the prayers would wake us up and last around 15 minutes. Bring earplugs! While they do offer tours, they ask a bit more (probably for commission), so we walked around and found many different tour companies in the area willing to bargain the price. This was a great hostel! The staff were super friendly and helpful, and always ready for any questions or even a chat. Located right in the medina, the building was very clean (the floors and bathrooms were cleaned every day), and the beds were clean, and comfortable too, and had a warm blanket. Breakfast was great (bread, crepe, marmalade, honey, butter, boiled egg, fresh(!) fruit salad, and tea/coffee). When we had to leave early, one of the staff members was up and had breakfast for us even though it was before the regular time. They also offer tours. Overall I would definitely recommend! Since my arrieved to Marrakech, Jamal (the hostest) was always in touch with me, giving me options to the transport from the airport to hostel. Once I was there he gave me important information about tourist locations. The tours that I deal with him was so cool., the room was clean and the bed comfortable. During my stay, the staff resolved my doubts and helped me in the city with everything I needed. But the best of my experience was the chance to had a close relationship with the staff and I learnt a little bit about their traditions and culture. By the way they taught me how to prepare authentic Moroccan food. In my next trip to Marrakech I will be your guest again. For sure. Thank you guys. Very little else could have been better. Staff very helpful and friendly with help with luggage and extra warm blanket due to the cold weather.